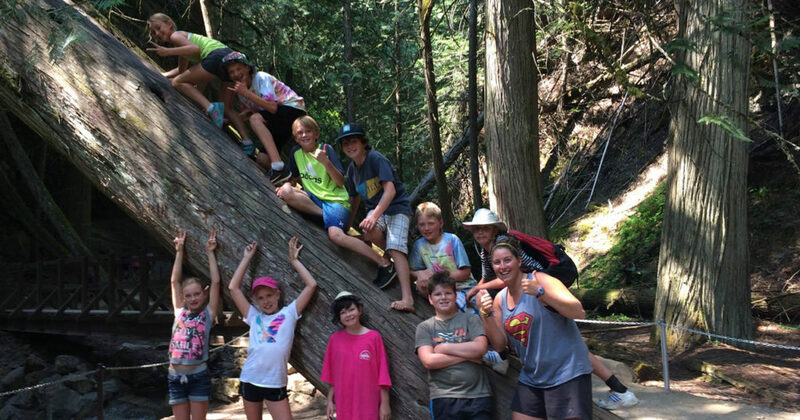 NOTE: Please read the current year’s Shuswap Lake Newsletter on the Downloads webpage of this site (in the right sidebar) for more detailed information about the out-trips. It will provide more information about what to bring. 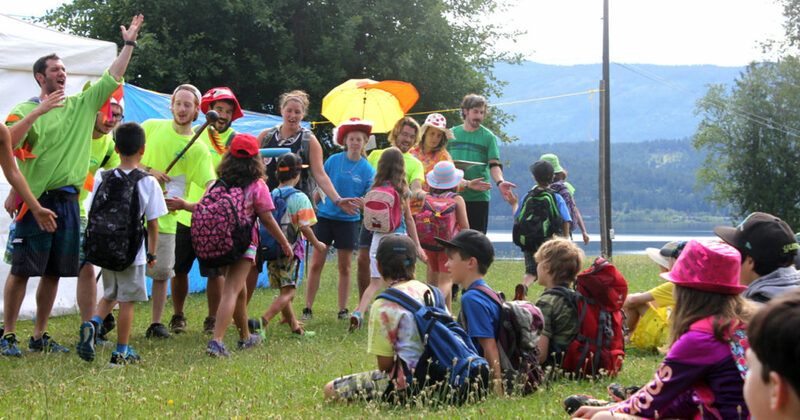 Personal Health Forms and Consent, Assumption of Risks, and Release Forms MUST be handed in to the Camp Registrar or Camp Manager on arrival at camp. Do not mail these with your application information. These forms are available on our Downloads page. Children will not be permitted to begin their program until all forms have been submitted. Moniteurs give each camper a list for each trip. Please go through it with your children as they could be very uncomfortable if they forget items. Note: All Regular groups will be going on an off-site excursion sometime during the week. Your child will be gone all day and must bring a bag lunch in addition to the regular daily supplies. The following list contains some of the potential equipment needed and should be considered a minimum for off-site excursions. Programs are being developed and this list will be updated and confirmed in the Shuswap Newsletter on the Downloads page. 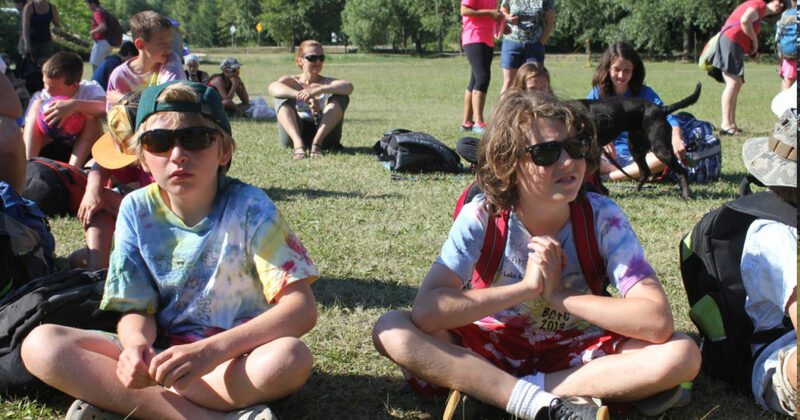 Generally, Aventurier teens will be off-site for two nights and CB teens off-site for three nights. Mountain bike in good working order and bike helmet. We strongly recommend that parents have the bikes serviced in a bike shop making sure that the brakes, gears, and tires are in good working order. If your equipment does not appear safe, you will need to rent equipment or may miss out on scheduled out-trips. Bike gloves may also be useful for lengthy rides. Though teens are not cycling off road, campers need to be familiar and comfortable with their bike for riding longer distances and on varied road surfaces and grades. Note: Teens are required to bring a bag lunch for each off-site and overnight excursion for eating on route to their destination. For teen groups staying over night, food will be provided once the desitnation has been reached. 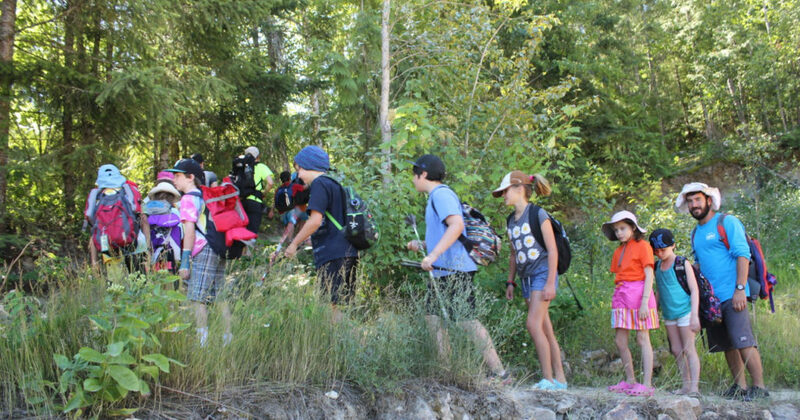 Teens in Le Groupe Méli-Mélo may be off site for a one-night sleep-out. The following list contains some of the potential equipment needed during the over night trip and should be considered a minimum. Programs are being developed and this list will be updated and confirmed in the Shuswap Newsletter on the Downloads page. Note: Teens are required to bring a bag lunch for each off-site and overnight excursion for eating on route to their destination. For teen groups staying over night, food will be provided once the destination has been reached.